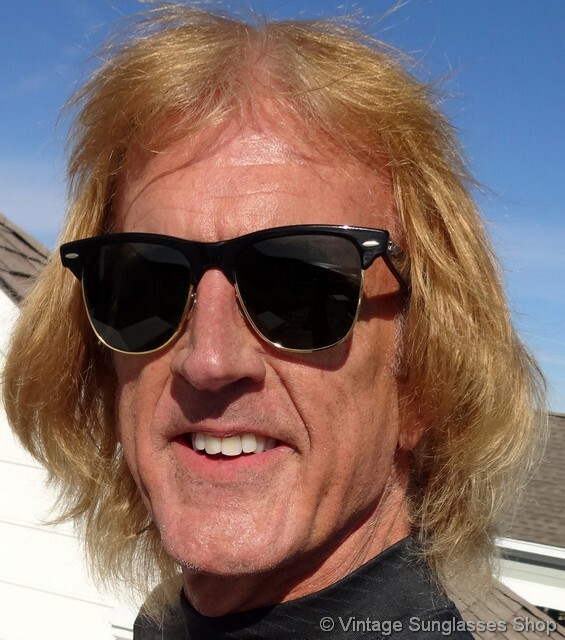 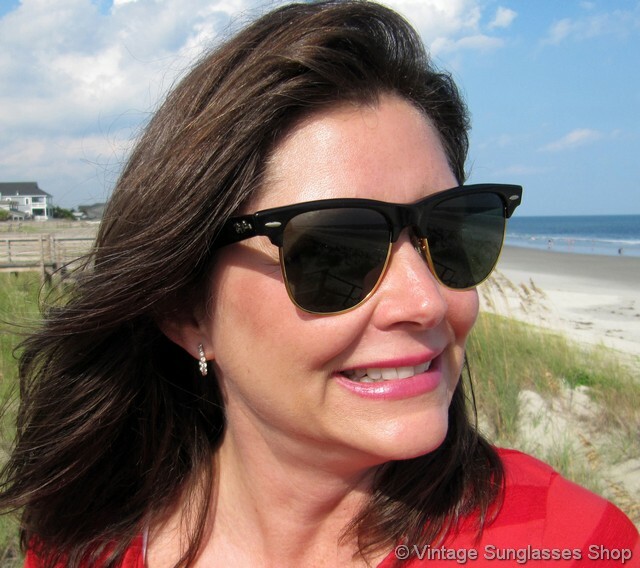 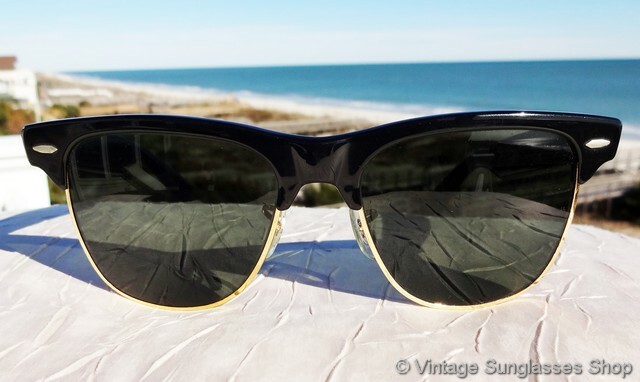 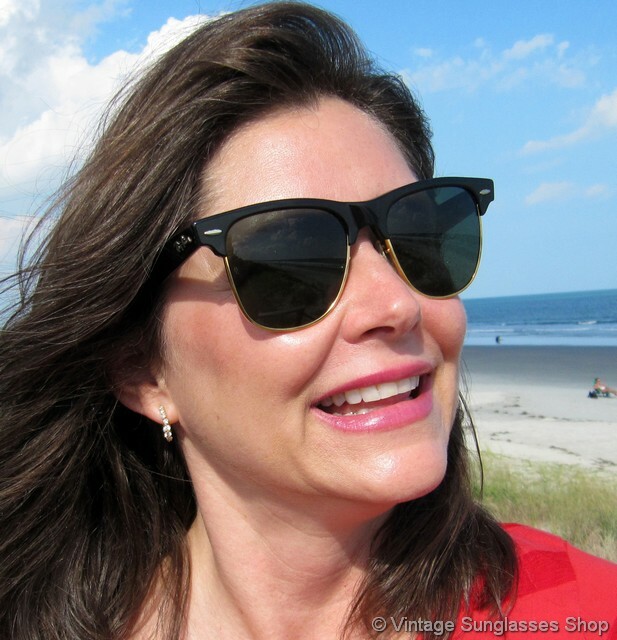 1 Vintage Ray-Ban W1272 Wayfarer Max sunglasses feature a black ebony front frame accent and ear stems along with Bausch & Lomb G-15 mineral glass lenses for one of the most recognizable and distinctive vintage sunglasses designs of all time. Ray-Ban Wayfarer Max sunglasses have the shape of traditional Wayfarers, but they transition from plastic to a thin gold band on the lower portions of both left and right lenses. 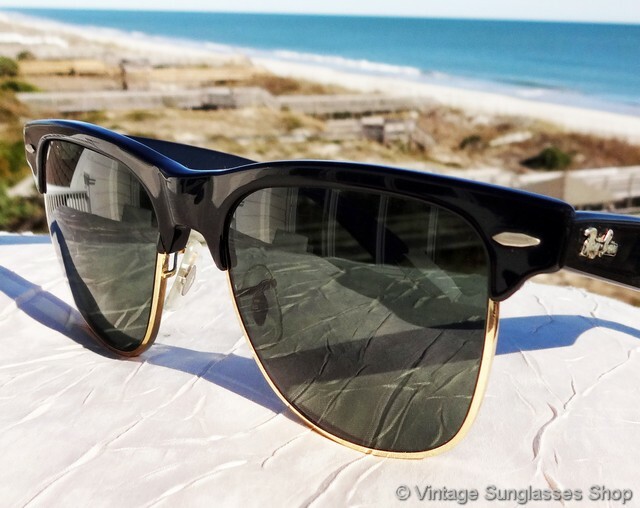 That combination of black ebony and gold in the traditional Wayfarer shape adds plenty of extra design flair, and it's a popular design for both men's and women's sunglasses. 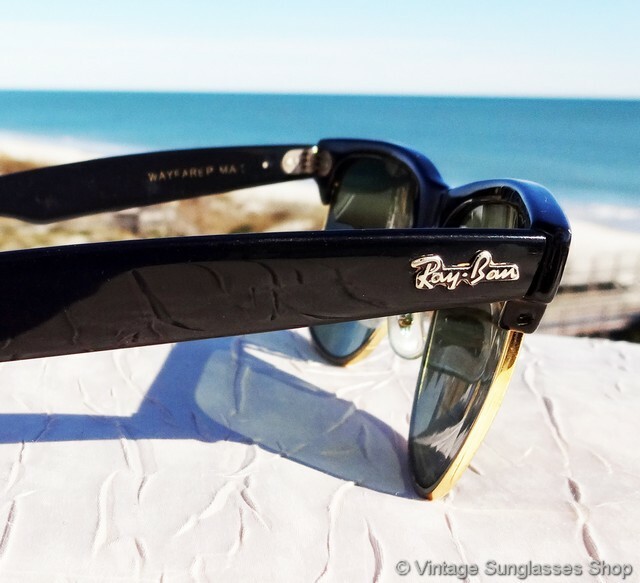 The unisex Ray-Ban W1272 Wayfarer Max frame measures approximately 5.5" temple to temple, and the B&L G-15 lenses measure approximately 2.0" x 1.875" at the widest points with both lenses laser etched BL near the hinges. 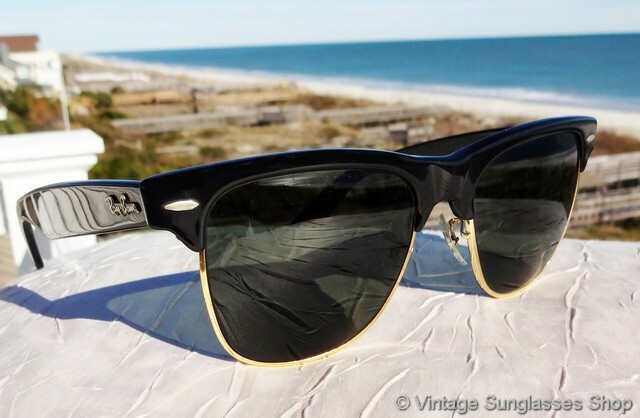 You'll find the Ray-Ban logo is in raised metal relief on the exterior of both ear stems, and the inside of one stem is impressed Wayfarer Max while the inside of the other stem is impressed B&L Ray-Ban USA and on some production one ear pad is impressed W1272. 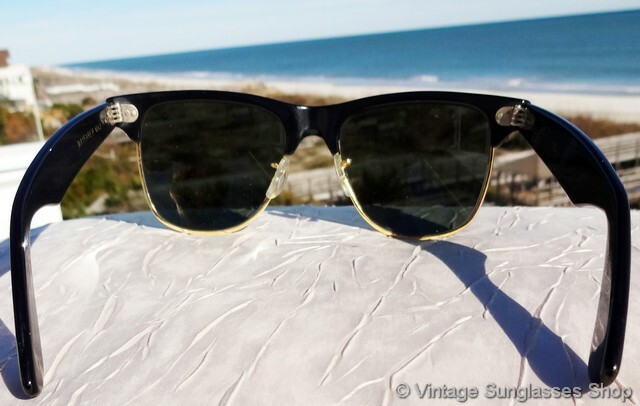 Vintage Ray-Ban Wayfarer Max sunglasses are an icon of modern sunglasses design, direct from the collection of a well known sports figure and long time customer of the Vintage Sunglasses Shop. 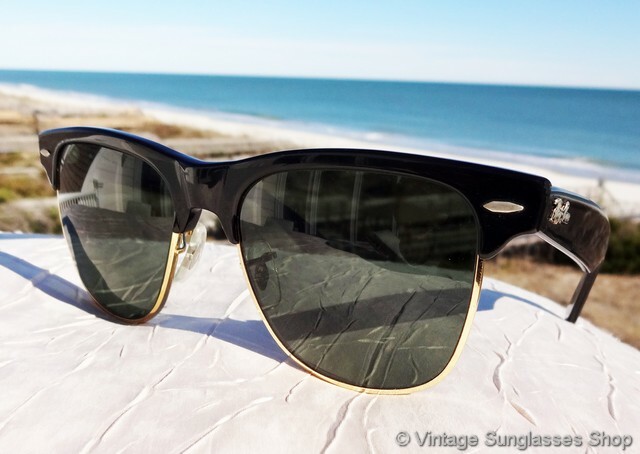 1A Step up another level beyond our already unequaled vintage condition standards with new old stock black Ray-Ban W1272 Wayfarer Max sunglasses in mint, unworn condition. 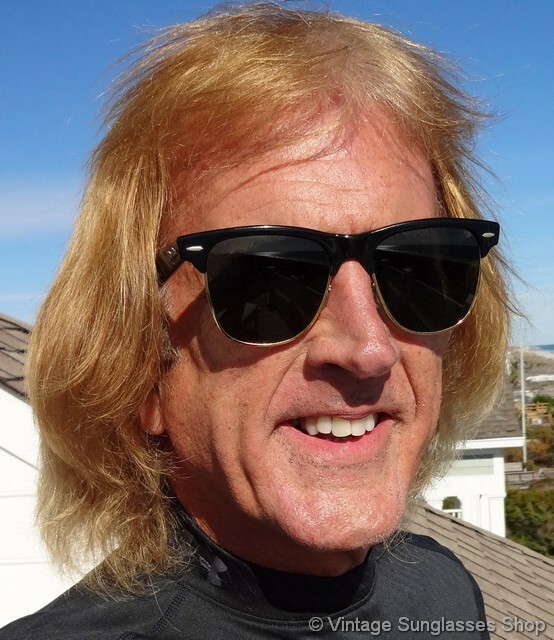 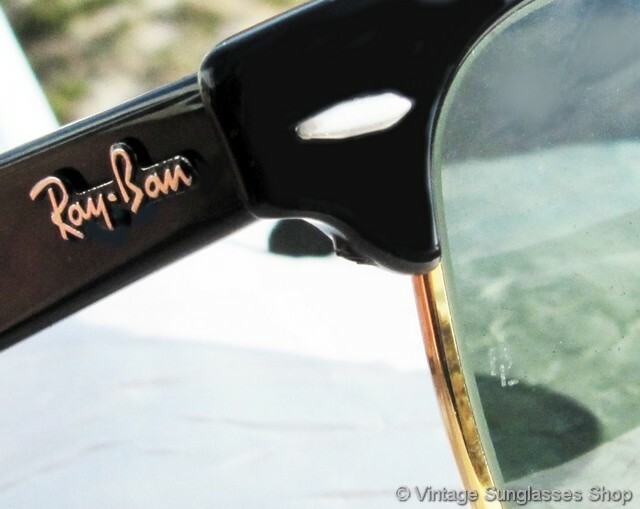 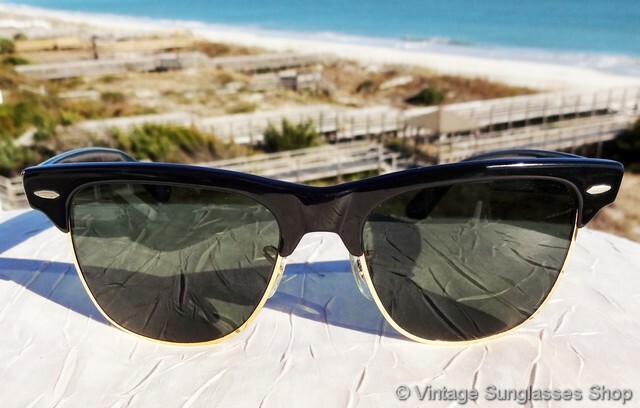 See our entire selection of vintage Ray-Ban Wayfarer Max sunglasses, and thanks for visiting and shopping with us!